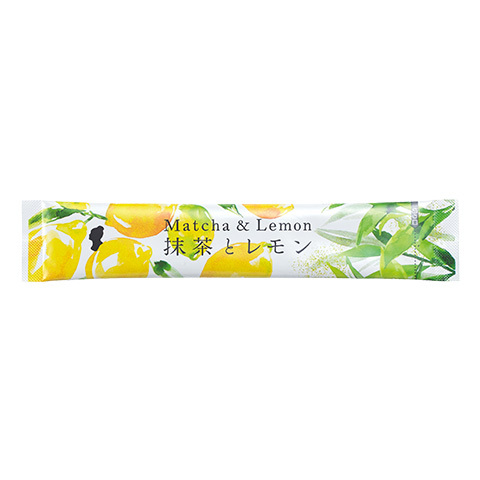 Containing 100% of organic Japanese matcha green tea and lemon. The bevarage delivers a refreshing flavor filled with nature's gift. With a rich aroma of matcha and a fresh sweet-sour taste of lemon from the sland of Sicily. Pour 120cc cold water into 2 packs of powder and stir well before drinking. Avoid heat, high-humidity and direct sunlight. 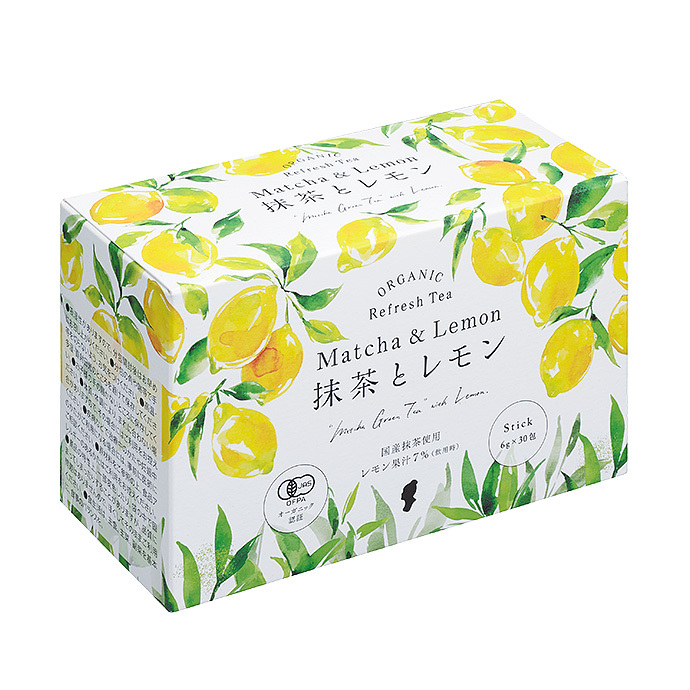 organic sugar(manufactured in Argentina), organic green tea, organic barley grass powder,organic concentrated lemon juice, organic acacia alimentary fiber. Due to its hygroscopic nature, best when consumed immediately after opening the portion package. lease be careful not to cut your fingers with the edge of the portion package. Avoid heat, high-humidity and direct sunlight for storage. Infrequently, this product don’t agree depend on one’s body condition or constitution. In that case, please stop drinking. Please consult your doctor beforehand if you are under disease treatment or in pregnancy. Please refrain from drinking if you are allergic to any of the ingredients. The color of the product may change, or the powder may get firm due to its feature, however, this does not affect product quality. In that case ,mash the lumps before pouring water. Mind to eat balanced meals for healthy diet. Copyrights © 2019 HOLLYWOOD COSMETICS Co., Ltd. All rights reserved.